Robert Herriman has been writing for the the web site, examiner.com since 2009 as the Infectious Diseases Examiner. Herriman has experience in the fields of microbiology and infectious diseases since 1989. He has previously written for "Continuing Education Topics" publication for the American Medical Technologists. Herriman holds a Master of Public Health from the University of South Florida. Anaerobic bacteria are organisms that are capable of surviving and growing in an atmosphere of little or no oxygen. Anaerobic bacteria can be further broken down based on their relationship to oxygen: obligate, aerotolerant or facultative anaerobe. They can be found in a variety of environments ranging from soil and water to the bodies of humans and other animals. Many anaerobic bacteria are found normally in the human body; in fact, in the intestines of humans, anaerobic bacteria outnumber aerobic bacteria 1,000 to 1. The Clostridium species are virtually the only anaerobic, gram-positive spore-forming bacteria. The clostridial spores are able to withstand long periods in adverse environmental conditions. When conditions become favorable, the spores will then germinate and become bacteria that are capable of growing and multiplying. Many of the clostridia are capable of producing some very potent toxins when they reproduce. They are responsible for some of the most serious human infections: tetanus, gas gangrene and botulism. The Clostridium species are found in the soil, water and the intestines of humans and animals. The Actinomyces species are straight to slightly curved gram-positive bacilli that can range from short rods to long, branching rods. This anaerobic bacterium is found normally in the oral cavity, upper respiratory tract and, to a lesser extent, the gastrointestinal tract. They are not a particularly virulent species of bacteria and usually only cause infection when there is some disruption in the surface of the oral cavity or upper respiratory tract (opportunistic infection). The Bacteroides species are non-spore forming gram-negative bacilli and are considered one of the most important anaerobic bacteria because of their involvement in many infectious processes and their resistance to antibiotics. Bacteroides are the most common species of anaerobic bacteria isolated from soft tissue infections and bacteremia. The bacteria produce numerous virulence factors such as capsules, endotoxins and various enzymes that cause tissue destruction. 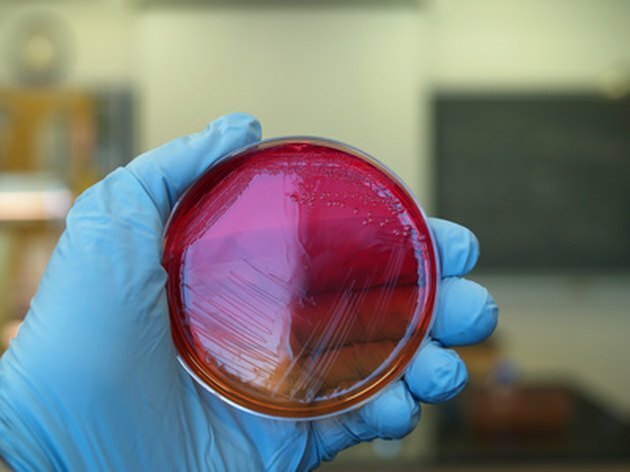 Bacteroides species are among the most prevalent bacteria found in human feces. The Propionibacterium species are pleomorphic gram-positive bacilli that may appear oval, rod-shaped or club-shaped. Some may appear branching or forked also. This is a group of aerotolerant anaerobic bacteria that can grow and multiply in the presence of atmospheric oxygen. These anaerobic bacteria are normally found on the skin and have been associated with an inflammatory process in acne (Propionibacterium acnes). They can also cause endocarditis and bacteremia but are usually considered a contaminant and a non-pathogen. What Are the Differences Between Aerobic and Anaerobic Respiration?